Music as a Chariot: I have just signed a contract with Routledge to publish my life-long quest for a theatre aesthetic based on the development of theatre out of music, called Music as a Chariot. The book is set to be released in March of 2018. Choices thEDMatre, an experimental theatre piece I co-wrote and directed, married electronic dance music to traditional theatrical story telling and premiered in the Mallett Theatre at Purdue University in May of 2014. It was subsequently selected as one of 29 theatrical productions over the last four years for inclusion in the US National Exhibition at the 2015 Prague Quadrennial. This year, the Purdue production has been invited to perform at World Stage Design in Taipei, Taiwan on the fourth of July, 2017. My original music score for A Midsummer Night’s Dream received it’s second revival at the Chicago College of the Performing Arts in September of 2016. I received a five-year appointment as a Fulbright Specialist candidacy starting in Fall of 2016. Betty’s Diner, the Musical, music by Carrie Newcomer, book by Rick Thomas and Carrie Newcomer premiered at Purdue University to critical acclaim (Journal and Courier’s choice for one of their "Top Ten Moments of the Year”) and a production run that sold out months before the production opened. Dr. Leigh Raymond has developed an outstanding reputation for innovative work on environmental politics, focusing on the role of norms and values in shaping environmental decision-making. He has published three scholarly books and more than thirty scholarly articles or book chapters. With an h-index of 17 and over 1,000 citations, Dr. Raymond’s research has appeared in leading outlets and has had a significant impact on the field of environmental policy, and political science more generally. Dr. Raymond’s most recent book, Reclaiming the Atmospheric Commons (MIT Press, 2016), investigates emissions trading policy for climate change in the U.S., focusing on the very surprising policy reversal to begin making polluters pay for their “emissions rights.” The book relies on extensive historical research and interviews with more than thirty political elites to explain how the idea of charging polluters for their use of a “public resource” (the atmosphere) went from being almost unthinkable in the late 1990s to a default policy assumption by 2008. The book describes how the decision to make polluters pay is a policy reversal that was widely unexpected and difficult to explain with standard theories of interest group politics. Dr. Raymond offers a path breaking model of sudden policy change driven by “normative reframing,” or the re-casting of an issue in terms of a new norm that is more persuasively applied to a policy status quo (in the eyes of elites and the public) and that recommends an alternative policy design. His new model is extremely important with far-reaching implications for policy change on contested issues. The quality of Dr. Raymond’s research has been recognized in a number of ways. He has won more than $1.2 mil in external research funding from the National Science Foundation, U.S. Department of Agriculture, U.S. Geological Survey, and the Environmental Protection Agency. He is a Purdue University Faculty Scholar (2014-19) and has won numerous internal grants and awards. Dr. Raymond was an invited co-editor of a mini-symposium on informal institutions and intractable global problems for Political Research Quarterly. He is regularly invited to give talks and guest lectures at Purdue and universities around the nation, including Berkeley, Chicago, Michigan, Stanford, MIT, and many others. Dr. Raymond is active in the discipline by serving as a reviewer for numerous journals, presses, and granting agencies. He also serves as a member of the Association of Public and Land-Grant Universities’ Board on Oceans, Atmosphere, and Climate. Fenggang Yang currently works on the project “Chinese Religious Markets and Spiritual Capital” supported with a grant of $3.5 million from the John Templeton Foundation, which is designed (1) to map the religious landscape and changing religious markets in China, (2) to assess spiritual capital in the emerging civil society in China, and (3) to foster new scholarship by publishing the journal Review of Religion and Chinese Society and organizing training workshops for young scholars. 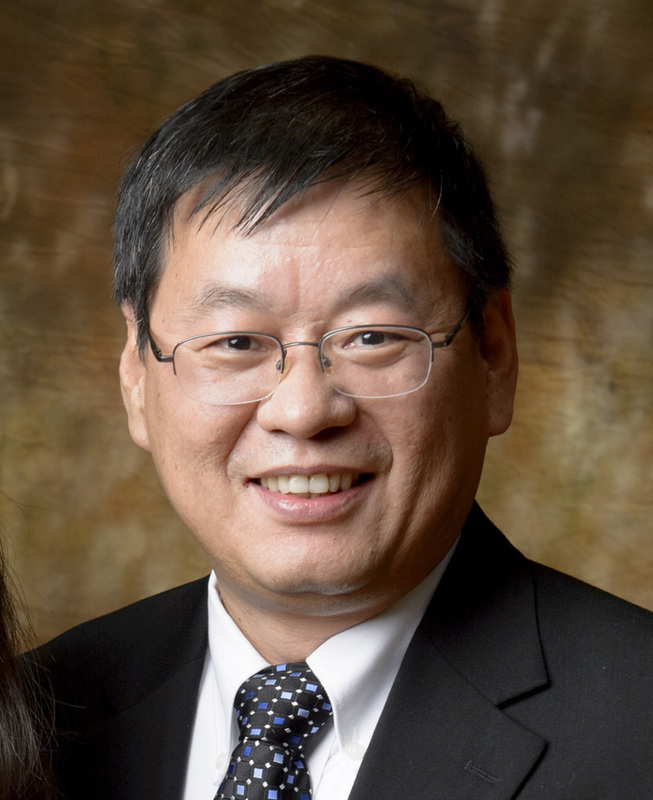 His most recent publications include Global Chinese Pentecostal and Charismatic Christianity (coedited, Brill, 2017), “From Cooperation to Resistance: Christian Responses to Intensified Suppression in China Today” (Review of Faith and International Affairs, 2017), “Exceptionalism or Chinamerica? : Measuring Religious Change in the Globalizing World Today” (Journal of the Scientific Study of Religion, 2016), “Confucianism as Civil Religion” (a chapter in Confucianism, A Habit of the Heart (SUNY Press, 2016), and “The growth and dynamism of Chinese Christianity” (a chapter In Christianity and Freedom, Volume 2: Contemporary Perspectives, Cambridge University Press, 2016).